I realize that for a blog about literature I write an awful lot about music. Of course, to me, those two are one and the same, one you see, one you hear, they both end up in the same spot; in your aesthetic bodysoulheartbraincore. I had a few hours to spare today, it doesn’t happen too often, but today it did, and I decided to spend those hours cleaning/washing/tidying/sorting stuff. And as everybody knows, those things are best done while listening to good and loud music. I fetched my red and shiny Sony earphones (some teenage stuff I will never outgrow) and scrolled through the play-lists on Spotify. Ah, yes, Led Zeppelin Celebration Day Live. This is another example of something whole, something perfection. Excellent music, excellent lyrics, goosebumps and happiness, completely transported by this music. This fascination I share with my mom and dad. They grew up on Led Zeppelin and gave me this for a birth present. This band has followed me through my life, adding a soundtrack to many big events. My parents’ song is Thank You. One of my Soundtrack To My Life-songs is Ramble On. 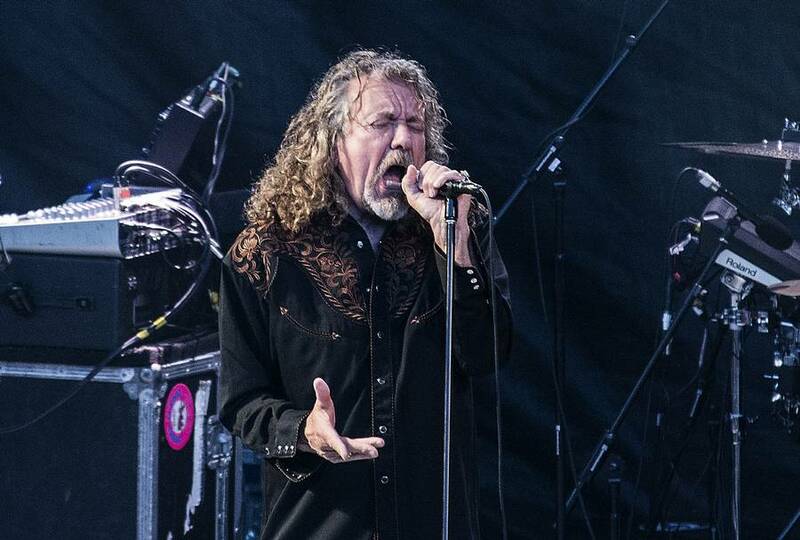 I never tire of listening to this band, and last year, I was honored, humbled and ecstatic when I had the chance to see Robert Plant live in Odense. When among his new songs, he began playing Whole Lotta Love I have to admit, I cried; openly and unashamed. I was standing there with my mom and dad, we shared this amazing experience, they having followed this band since their teenage-years, and me, their daughter, having grown up with this music, now an adult myself – and we could stand there and see this show together after so many years – what a legend! What an extraordinary feat! What I am trying to get to is how some things stay with us a lifetime and beyond. Some things are so embedded in us that they never change. We may change, our lives change, people around us change, but these things remain, intact and shiny like indestructible diamonds in our core. And so often, these things are artwork. Music, images, great stories. Something we have perceived and taken via our senses, something come to us via aesthetics. How is it that these things last like that? There are many, forming their very own diamond mine in my soul. These diamonds shape who we are, and they never disappear. I’ll bet when I’m 98, sitting in my rocking chair, looking back at my life, I’ll still hit play on Led Zeppelin and feel as I always did, 17, 36 or 98. Diamonds are forever.